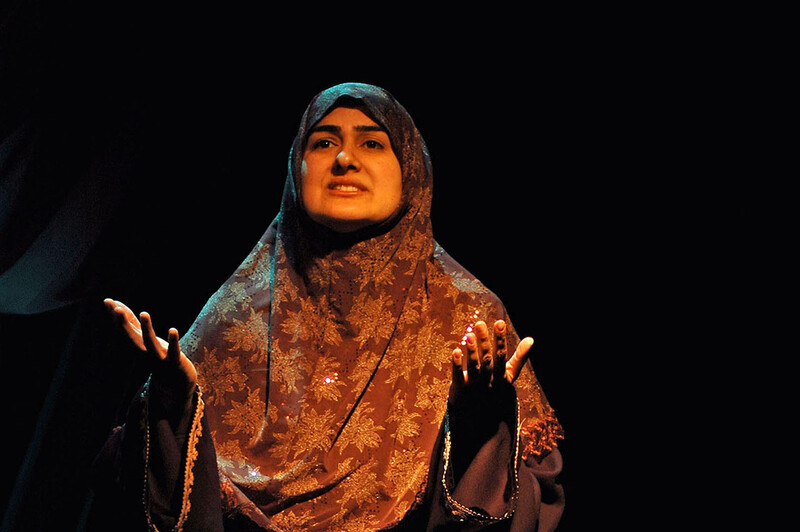 Bates College presents playwright-actress Rohina Malik performing her critically acclaimed one-woman show Unveiled, portraying five Muslim women living in a post 9/11 world, at 7 p.m. Monday, Jan. 27, in Schaeffer Theatre, 305 College St. The show is open to the public at no cost. For more information, please contact 207-786-8272 or multifaithchaplaincy@bates.edu. Unveiled, written by Malik, uses women’s stories of racism, hate crimes, love, Islam, culture, language and life to reveal what it means to wear the veil. Directed by Ann Filmer, the play premiered in May 2009 at the 16th Street Theater in Illinois, where it sold out the entire run. Since then, Malik has brought Unveiled to such theaters across the country as the Victory Gardens Theater in Chicago, the Next Theater in Evanston, Ill., and the Brava Theater in San Francisco. Malik is a Chicago-based playwright, actress and performance artist. She was born of South Asian heritage and raised in London. She is a resident playwright at Chicago Dramatists, an artistic associate at the 16th Street Theater and was one of four writers in the inaugural group of the Playwrights Unit at the renowned Goodman Theater. Her other plays include Yasmina’s Necklace and The Mecca Tales, both developed and presented in staged readings at Goodman Theater. The Bates performance is sponsored by the Multifaith Chaplaincy; the Office of Intercultural Education; the departments of theater, religious studies, women and gender studies, English, politics, anthropology and sociology; the Harward Center for Community Partnerships; and the social sciences division.